The United States has come to realize the benefits offered by cost-saving, emissions-limiting renewable energies such as electric vehicles (EV). EVs, indeed, are the most-tangible, fastest-growing example of renewables’ momentum, offering a multitude of benefits for consumers, businesses, utilities, and the environment. With utilities incentivizing consumers and joining states and the federal government in supporting the rise of EVs, it is important to understand the diverse array of incentives available and how widespread these programs are. As such, what follows is a brief introduction to utilities’ incentives for EVs and the growing role played by such policies. Despite states and the federal government amplifying efforts to incentivize the use of renewable energies, these incentives occur at purchase or installation and come in the form of a rebate or tax credit, often times not much more than $7500. Utility prices, consequently, are not affected by such policies, which makes charging more expensive and has long served as a disincentive for the use of EVs. However, with credits, rebates, and off-peak, time-of-use rates increasingly common, utilities have taken it upon themselves to ease this burden and propel the rise of EVs in their coverage zones. Some utility companies like Pepco, Georgia Power, the Orlando Utilities Commission, and the Los Angeles Department of Water and Power have offered incentives for years and, thus, serve as prominent archetypes for subsequent plans. Indeed, this success has propelled the number of utility companies offering incentives for EVs to grow in recent years. Today, there are 44 utility companies in the US offering discounted rates, rebates, or other incentives for EV implementation, an impressive increase over the 28 companies offering such programs in 2015. Furthermore, there are more than 200 utility companies which offer time-of-use rates serving similar incentivizing purposes and making intelligent charging of EVs more affordable and efficient. The growth of these incentive programs has been due to the success thereof and the clear willingness on behalf of consumers to benefit from the technological and financial benefits on offer. In addition to time-of-use or off-peak plans, which offer lower rates for charging during times of decreased demand, there has been remarkable progress made in credits or rebates which incentivize consumers to invest in EV technology and emphasize the short- and long-term benefits. One of California’s leading utility companies, Southern California Edison, for instance, has started to offer a $450 rebate for the purchase of EVs or PHEVs on top of the existing off-peak rate plan. Similarly, ConEdison offers an incentive program, SmartCharge NewYork powered by FleetCarma which provides owners up to $400 for off-peak EV charging. While ‘off-peak charging by electric vehicles could help reduce rates for all utility customers’ as well as costs for the utility companies themselves, rebates and credits available from utilities in California and Minnesota, for instance, ease the transition for consumers into the EV marketplace and ensure optimal utilization of the special rate plans available. Given the growing diversity of incentive plans now offered by utility companies in 22 US states, it is important to understand some of the various options available and the benefits thereof. Notably, in addition to the benefits to consumers and the environment, utilities have realized that they, too, can benefit from the implementation of such incentive programs. Off-peak charging, in particular, saves significant costs through reductions to ‘the cost of generation… [as well as] utility investment in generation, transmission, and distribution infrastructure’. These advantages, along with those to consumers’ costs and efficiency, have led to these programs’ increasing diversification and implementation. For example, the Los Angeles Department of Water and Power (LADWP) offers off-peak time-of-use rates of $0.025 per kWh with a further $250 credit for panel installation and a rebate of up to $4,000 for Level 2 EV charging station installation. Though the adaptation of such policies has seen increasing popularity among utility companies in recent years, with Connexus Energy, for example, offering a similar approach to the LADWP’s, such balance in incentives is rare among utility companies. Indeed, states such as Kentucky, Tennessee, and South Dakota have a distinct lack of utility- or state-based incentive programs for EVs. Even utilities with some level of incentivization such as Florida’s Orlando Utility Commission or Indiana’s Indianapolis Power & Light tend to favor one or the other form of incentive; in these cases, the former focuses on its rebate program while the latter offers specific PEV charging rates, but no rebate. 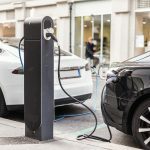 While special rates tend to focus on off-peak times and, thus, remain fairly consistent on a case-by-case basis, the rebates offered can vary, between a rebate on the purchase of a new EV; a new or used EV or PEV; a Type 2 home charger; or for businesses to install charging infrastructure. Put together, these policies have the capacity for great impact on this market; unfortunately, utility-based programs too often emphasize just one or two of the various programs offered. Though understandably hindered by funding and demand justification, continued and expanded incentivization of EV use is vital to the continued inundation of EV technology and the multitude of benefits to our society and our planet. SmartCharge RewardsTM by FleetCarma is a plug-and-play incentive program for utilities to help shift EV charging to off-peak hours and create manageable load growth – without the hassle & cost of installing a submeter. It’s designed to help EV owners reduce the cost of charging and enhance electric grid efficiency and resiliency – making service more reliable for everyone. With ’80 percent of EV charging’ occurring within residential properties, the imperative to incentivize off-peak charging and provide credits or rebates to promote home-charging units, for instance, is becoming increasingly urgent. As EV technology continues to evolve and its inundation becomes inevitable, utilities will continue to join states and the federal government in supporting the rise of this technology. 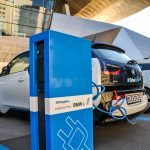 With special rate plans and rebates predominant amidst numerous options, these programs will become ever-more-widespread and will make entry into the EV market easier for the average consumer. This pattern can only benefit everyone, with cleaner air, lower utility costs, and greater efficiency for consumers among the reasons that now is truly the time to take advantage of these incentive programs and join the EV revolution. Darrin P. McDonald is a Political Scientist, Economist, and Historian. He received his Master of Arts in Politics, Economics, and Philosophy from the University of York. His current research focuses on the implementation of renewable energies, alternative development strategies, and humanitarian policies with an emphasis on the US, EU, and sub-Saharan Africa.